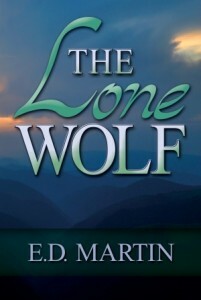 It’s launch week for my women’s fiction novel, The Lone Wolf! Yay! In today’s excerpt, Kasey and her husband David had a fight earlier in the day over him being too controlling and putting work first, and he’s trying to make it up to her: afternoon at a spa, diamond necklace, and now this. I stopped short in the doorway. Candles of various sizes adorned the table, which was set for two, and a large vase of white and red roses sat in the middle of the table. “You did all this?” I asked, the candlelight blurred and shimmered as I dabbed at my eyes with the back of my hand. “I told you, I’d do anything for you,” David said as he entered the room carrying a small platter heaped with pieces of meat and cheese. “Yeah, but this is….” Too much. Perfect. Not enough. Well written eight and sad with her doubts and fears. Wow! You nailed it. aww, so bittersweet. You definitely make readers care about your characters. I’d love to know exactly what she’s thinking. Very intense. He’s done some serious damage, and dinner and roses won’t make it all the pain and distrust just disappear. Her reaction is fascinating, intrigues me to read more. Excellent excerpt!